Sparrow and Crowe makes its Kickstarter goal! 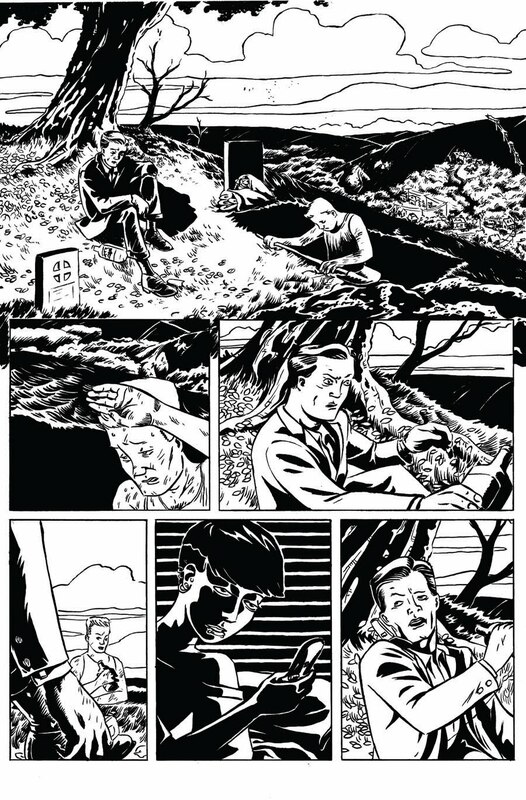 Sample Art by Jared Souza, Adapting the audio series "Wormwood"
The Kickstarter campaign to raise money to cover creative expenses on the upcoming Sparrow and Crowe comic book met its goal of $4,000 last Sunday, and currently has six days remaining. 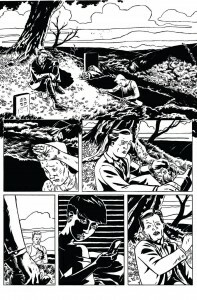 It will be the first creator-owned comic book at Hermes Press when it launches in 2012. With a commitment to publish Sparrow and Crowe as a creator-owned comic book mini-series by Hermes Press, writers Accampo and Jeremy Rogers, and artist Jared Souza began the Kickstarter campaign as a way to cover further marketing and production expenses. Sparrow and Crowe: The Demoniac of Los Angeles is a comics prequel to Accampo and Rogers’ successful Wormwood audio show, which ran as a podcast from 2007 to 2011. Many of the devoted Wormwood fanbase came to their rescue and donated money through buying exclusive CDs of the show’s soundtrack, signed copies of the upcoming first issue, bound copies of the first Wormwood script, and other Wormwood rarities. Both volumes of Voyage to the Bottom of the Sea: The Complete Series for only $50 (half off from cover). The books can be purchased with a pledge at the Kickstarter page, along with the other Sparrow and Crowe items, including original art pages from Jared Souza. With the first issue of Sparrow and Crowe set to debut in summer of 2012, the creative team are already in a better-than-expected position to comfortably deliver the caliber of comic book they feel worthy of the fanbase that are helping to make it possible. “And we couldn’t be happier with Jared’s visualization of these characters – the perspective and atmosphere he creates has inspired our scripts as we progress,” adds Jeremy. The Kickstarter page for Sparrow and Crowe can be found here. The campaign ends on Thursday, November 24th at 8:55 PM Eastern time.